It doesn't matter if you're new to hunting or if you're a seasoned veteran. Work this list and prepare for hunting season now. With summer beginning to wind down and the first day of school only a few weeks (or less) away for most kids, some are beginning to gear up for fall hunting season. The nice thing is, it’s still a little ways away, so there’s time yet to get things in order and prepare. This work isn’t one that’s overwhelming, in fact, hunting prep can be really rewarding. But it’s not something you can knock out in an afternoon. Plan accordingly so something enjoyable — like digging into maps and harvest records — isn’t rushed. For those who are new to hunting, it’s a good idea to start from ground zero, which means knowing the regulations and understanding how hunting licenses, tags and stamps work. The Washington Department of Fish and Wildlife offers a quick-hitting list for all of these tasks, so both seasoned and beginner hunters can get going and get ready. Be sure you know all the details about the upcoming season dates, license and permit requirements, fees, bag limits and other rules. Many of these details change year to year, so never assume that last year’s regulations are going to apply to your favorite hunting spots this season. Overlooking even a "little" detail or rule change can ruin your hunt. Both on-line and traditional classes are available in most states and you can find specific information about course times and when courses are offered, along with requirements, by visiting your state’s wildlife agency. Keep in mind, hunter ed courses fill up fast, especially in summer and early fall. You can find a list of state wildlife agencies and corresponding links here. Depending on what game birds or animals you plan to hunt, where, how and when you’re planning to hunt them, you’ll need one or more license documents to do it legally. A big game license or small game license is the first step in most (but not all) cases. Deer, elk and other big-game hunters also need species tags for the animals they’re hunting, while most waterfowl hunters must have both a federal migratory bird stamp and state validation to hunt ducks and geese (plus authorization and harvest report cards for some species). A good map can provide a wealth of hunting information, whether you plan to hunt big game, waterfowl or upland game. Besides just showing the way to a starting point, a good map, used the right way, will even lead you to the places where game animals are most likely to be found. There are plenty of map resources available to get you there. You’ll want to focus down to the point where you’re studying elements such as steep, forested canyons, water sources, field edges or funnels. Good map resources are available both in hard copy and online. Many state wild agencies provide maps of state and federal lands on their websites. In Washington State, hunters can check out GoHunt, the agency’s mapping resource to review Game Management Units, topography, satellite images showing vegetation and terrain, etc. Also, explore a state’s game harvest reports to gauge how hunters have fared in previous years and what biologists have observed for the health of the population. The best way to know what to expect of any hunting area is to get out and see some country for yourself before the season begins. The more familiar you are with a particular patch of ground, and the animals that live there, the better your chances of hunting success. If you scout a deer-hunting spot so often and so well during the late summer and early fall that you know the daily comings and goings of two or three nice bucks, there’s a good chance you’ll be in the right place at the right time on opening morning. 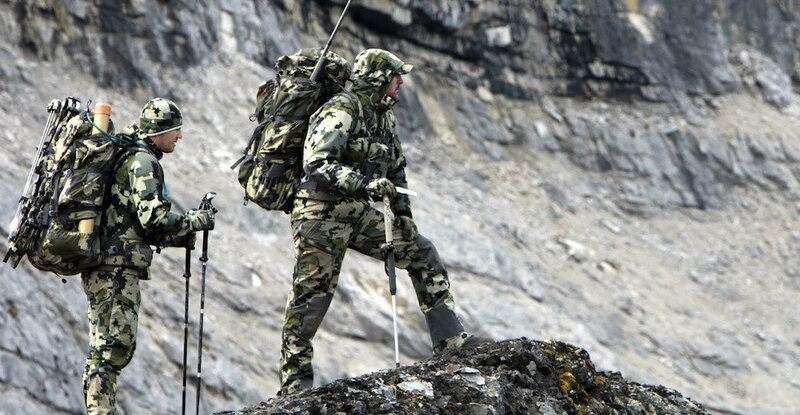 Some of the most successful hunters around are those who can cover the most ground in a day, whether that ground be flat or on a steep slope. If you’re in good enough physical condition to stay with it from daylight to dark, your odds of hunting success increase. Shaping up before you hunt is especially important for folks whose everyday lives don’t include much physical activity. Start walking, jogging, climbing stairs, visiting the gym or whatever you need to do long before opening day and this hunting season will be a happier, healthier — and more productive — one. If hiking or climbing is included in your workout plans, wear your hunting boots during your exercise session, especially if they’re new boots that need breaking-in. And, if you hunt with family members or friends, try to get them involved in your workout regime, too, so they can keep up with you. If you’re a bird hunter and your regular hunting companion is four-legged, spend the weeks before hunting season getting him or her into top form. Like the rest of us, hunting dogs lose some of their edge (and in some cases all their memory) during the off-season, so put them through their paces before the opener, reinforcing commands, reminding them how much fun it is to find and retrieve birds, and giving them a chance to burn off those pounds they’ve gained if they haven’t been worked since last fall. Whether you hunt with a modern firearm, muzzleloader, shotgun, bow or all of the above, the more you shoot, the better you’ll shoot when it really counts. Many hunters spend dozens of days at the shooting range each summer in preparing for the season, and all hunters should spend at least a day or two there. Even a few hours of busting clay pigeons with the old semiautomatic or firing a couple dozen rounds from the bench with your favorite deer rifle will help, but more is better. Take the time to learn the basics of trajectories of your bullets or arrows, and the performance of your cartridge at different distances. If you hunt an area where you might take a 200 yard rifle shot for deer, practice at 200 yards. While walking and jogging, identify landmarks along your route and guess the distance and then pace it to see how you do. Getting calibrated at judging distances is key to successful shot placement. One of the best ways to blow a perfectly good day of hunting is to leave an important piece of equipment at home or find it in poor- or non-working order when it’s needed. Make a checklist, lay out every piece of equipment on it, look it all over and make sure it works, then put it all together in one place, ready to be packed for the trip. Anyone who has ever reached into a backpack for a sharpening stone that wasn’t there, stared into the shattered face of a broken compass or discovered an active deer mouse nest in a tattered (and smelly) sleeping bag understands the importance of careful equipment organization and maintenance. Read through the appropriate (and current) hunting regs in your state to confirm season dates and get them on a calendar. If you haven’t already, start pinning down the dates you plan to hunt, especially for trips that are longer than a weekend outing. If you need to schedule leave or vacation time from work, do it sooner, not later.